Zani Viaggi group is the first company that started operating in tourist tours throughout Milan, with accountable and efficient services to discover the city. 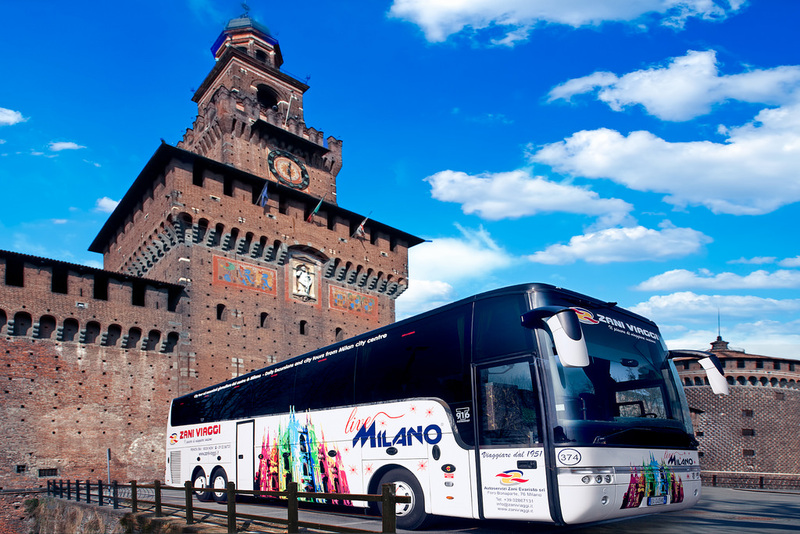 Among these, visitors interested in admiring Milan from a different perspective can take advantage of exclusive hop on – hop off city sightseeing tours aboard of the yet well-known red double-decker bus, allowing guest to go on and off the bus anytime they wish to fully admire the city’s landmarks. The service is available 365 days a year and a single ticket is valid for three different routes, with commentary translated into 10 different languages. In December 2018 the city sightseeing service has been enriched by a new full-electric bus. D Line: Castello, Cadorna, P.le Aquileia, Navigli, Via Olona, Castello. Zani Viaggi also offers its guests the chance to download for free the ‘Sightseeing Experience Free App‘ featuring all the necessary information to enjoy a Walking Tour crossing the Duomo, the Scala Opera House, the Fashion Quad, Brera and the Sforza Castle. The APP also enables guests to discover the exact position of the buses by Zani Viaggi in real time. Zani Viaggi also features half-day guided tours (see main picture) to discover the not-to-be-missed destinations in town, including the Duomo cathedral, the Sforza Castle, access and guided tours to La Scala opera house and priority entrance to the Last Supper, with the chance of skipping the line. The tour includes bilingual guides in English, Spanish, Portuguese, German and French, according to the selected day of the week and can be held both in the morning and in the afternoon. All additional information can be found on the official website. Those wishing to explore a little further on can opt for an out of town day trip; coaches By Zani Viaggi depart daily from Milan for day-tours to the Como Lake, half-day trips to Bergamo, journeys to Verona, ski experiences in Bobbio and its surroundings, day trips to Genoa and one-day journeys to the Cinque Terre and trips to Venice. All tours are carried out aboard of new buses equipped with full optional and comforts from free Wi-Fi to USB Chargers and air conditioning. Further destinations can be reached with express trains. 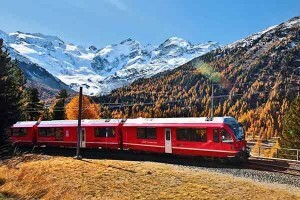 Other services such as the panoramic train along the Bernina Pass to the resort of St. Moritz are available as well, with departures from Milan three days a week.